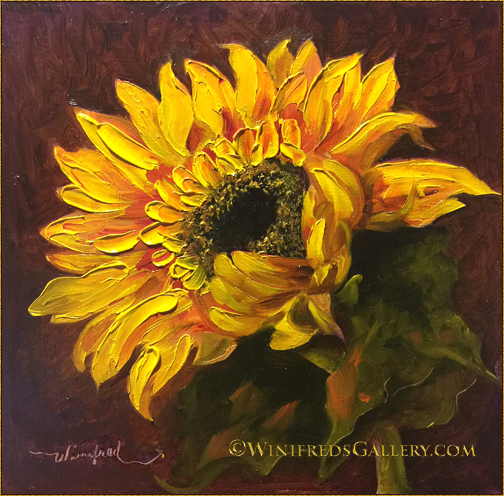 This entry was posted in Traditional Oil Painting and tagged Winifred Whitfield Sunflower Oil Paintings by Winifred Whitfield. Bookmark the permalink. The sunflower is beautifully made! Love it! Thank you Alice. It was my first “single” sunflower but I will paint more.